Annuities are financial products sold by insurance companies and are usually intended for eventual retirement. Insurance companies provide people who buy annuities with payments that they will receive upon reaching the qualified age. These payments will be like incomes, received periodically with a schedule that is usually predetermined. There are two kinds of annuities: fixed annuities and variable annuities. The following will be an attempt to explain annuities in common terms. Fixed annuities are bought when a lump sum payment is made up front by the annuitant. While the annuitant loses access to his principal, the income payment is guaranteed. There will be no problems upon reaching the age of retirement and income will be steady though not quite as large as what can possibly be made with a different kind of annuity. In order to have this annuity explained completely, we must also mention that a fixed annuity can also be one of two subtypes: immediate or deferred. An immediate annuity is the kind that makes fixed payments during retirement. Deferred annuities, on the other hand, earn regular rates of interest and will not incur tax while withdrawals aren’t made. Variable annuities are like mutual funds in that your sub accounts or investments will earn interest according to the market rates. Most people believe that the advantage in this is that asset protection will be applied as variable annuities are classified as insurance rather than as actual stock investments. Variable annuities, unlike fixed annuities, don’t have stable payouts. Rather, the payments to the annuity will be made periodically over time and put into various investments like a mutual fund. When retirement comes, instead of receiving regular income, you will receive a lump sum payment of all accumulated earnings and losses. Of course, you can also receive annuitized payment if you wish. Variable annuities stand to gain a lot of interest but can also be risky in that a fall in the market might mean terrible losses for your retirement fund as well. With variable annuities explained, let’s move on to having the general rules of annuities explained. Most of the annuity rules and options in buying annuities have been explained above. Selling annuities are a popular option for a lot of people because commissions for them are worth a lot. Usually, a salesman will employ annuity selling systems in order to help sell the product. There are several different types of annuity selling systems, all of them devised by other successful sales people and can serve as models for this kind of business. Investors who buy annuities can also buy them as cash notes which the seller might use for a bigger investment. 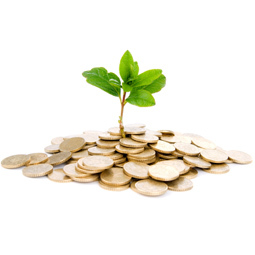 Annuities explained completely means that annuity loans must be included in the discussion. Getting a loan of this type is usually better than taking out a loan on your IRA or your 401K account. Annuity loans are tax-deferred and can be taken out of an account, with access usually reaching up to half of the account balance. Unless the loan isn’t paid back in the allotted time, an annuity loan will remain tax-free and can be paid back directly into the account itself though the interest earning rate of your annuity might be slowed down for a bit.